I heard there's a high toned and fancy to do in the planning - well you've come to the right place! Whether adding some pirate pizzazz to your party or surprising someone on their land mark birthday or anniversary Captain Jack will make it an unforgettable experience. Simon, who actually doubled for the real thing in the Pirates of the Caribbean franchise, can stay in character for the whole party from a meet and greet as the guests arrive through to mix and mingling with everyone as the party progresses, presenting flowers or a cake... you name it, Simon's probably been asked to do it! Simon can also present a signed poster or even a unique piece of Captain Jack's costume as a memento to remember the night by. Everyone will feel involved as Captain Jack gives them a unique tattoo (ink stamp) and swears them into his crew. What better way to make it a memorable day by arranging for their favourite pirate to show up and surprise them with flowers or a gift... or a bottle of rum! 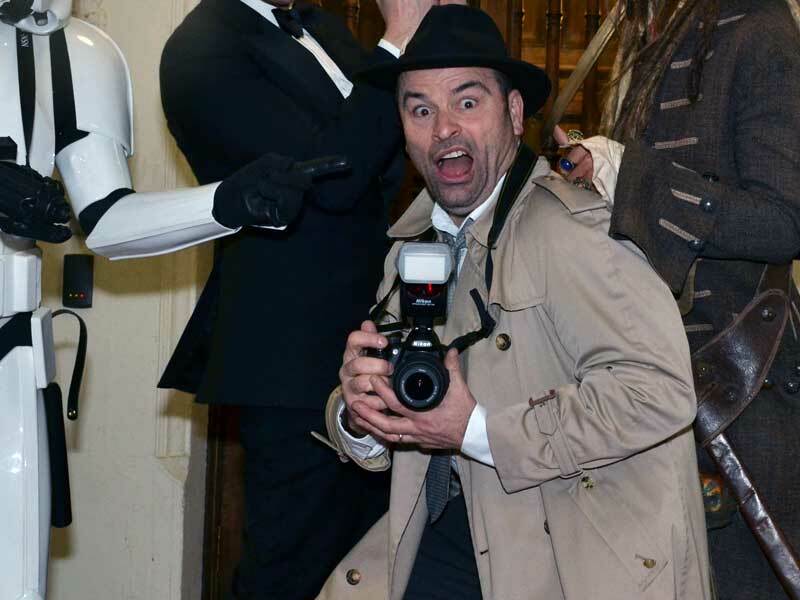 Whether it's signed posters, or part of his costume like a belt buckle, Simon can provide unique mementos for some or all of your guests to remember the day by.